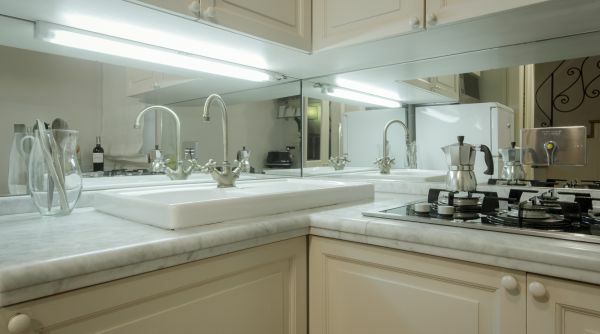 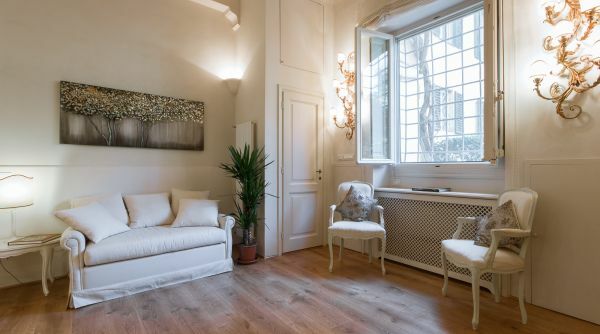 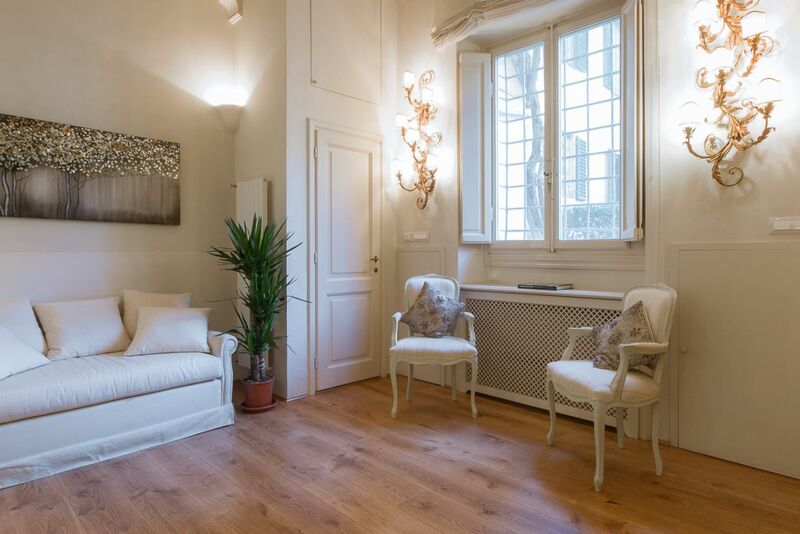 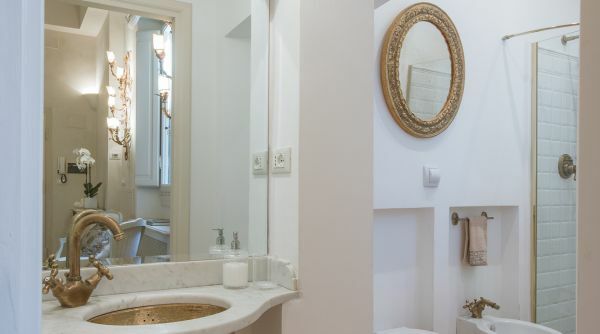 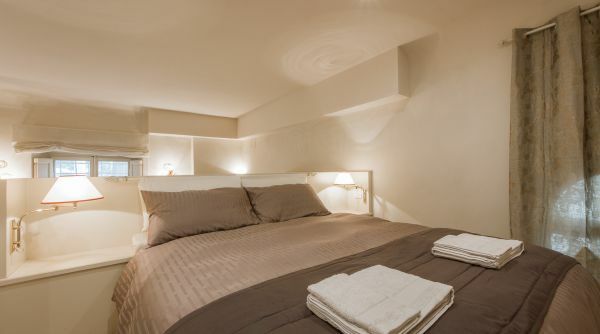 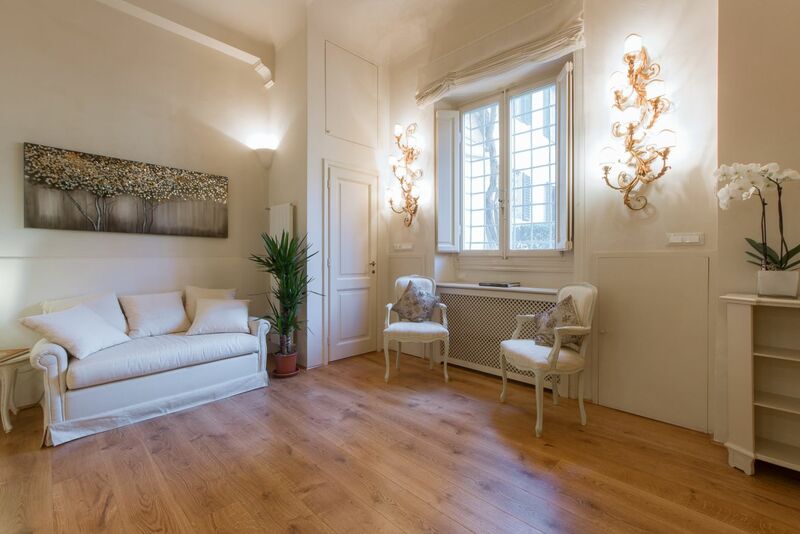 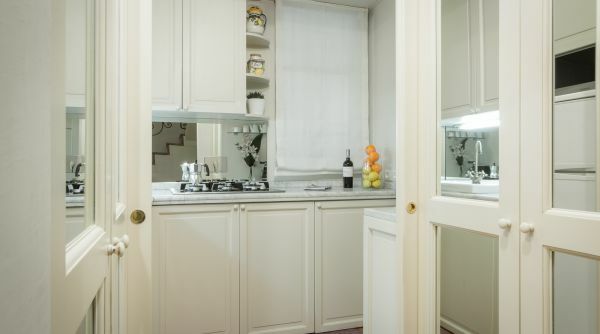 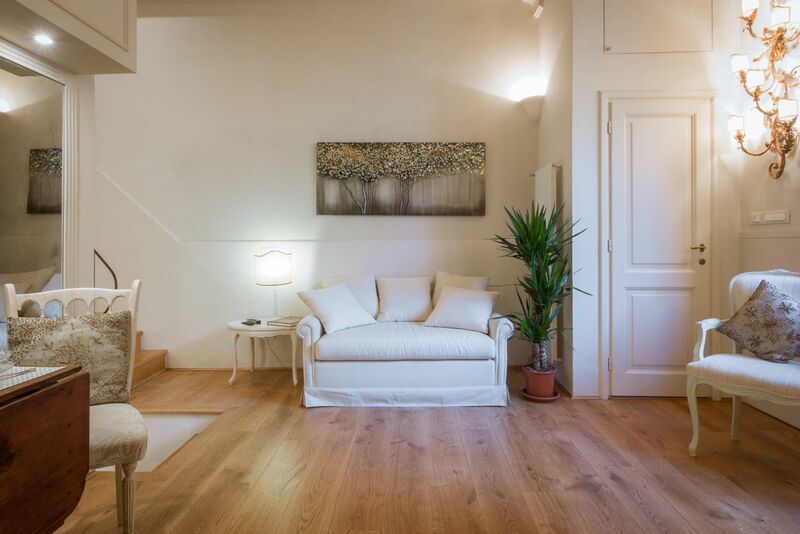 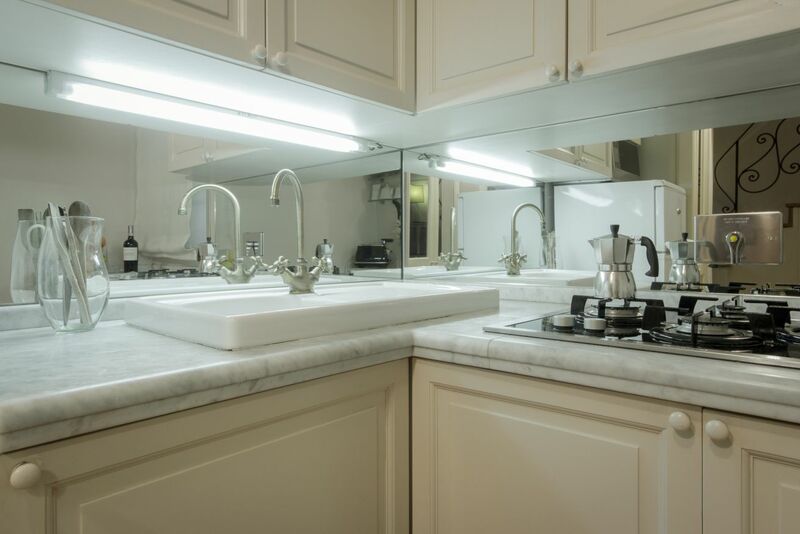 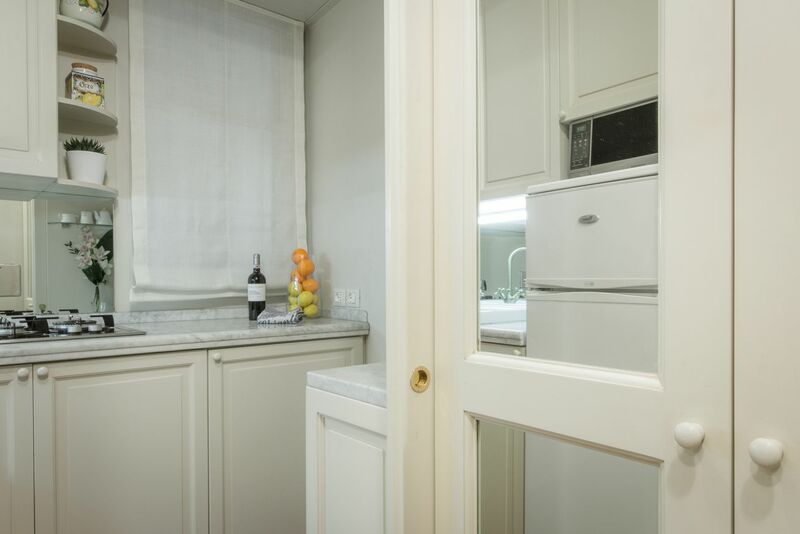 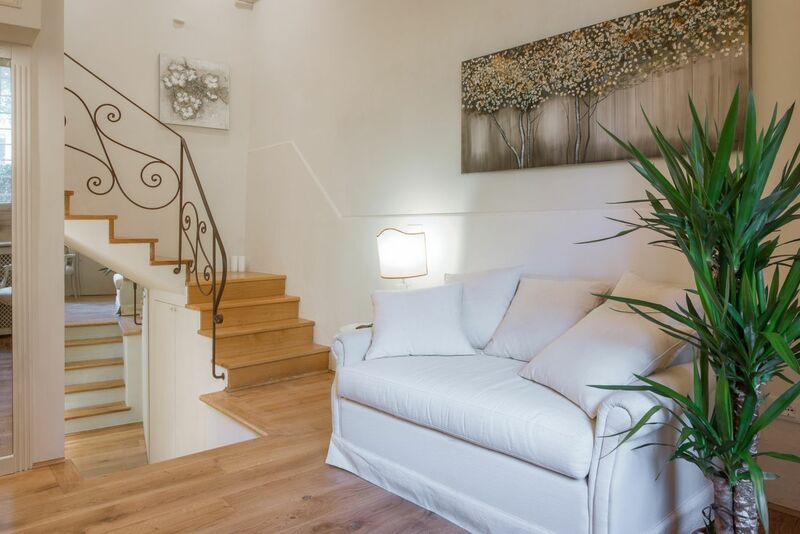 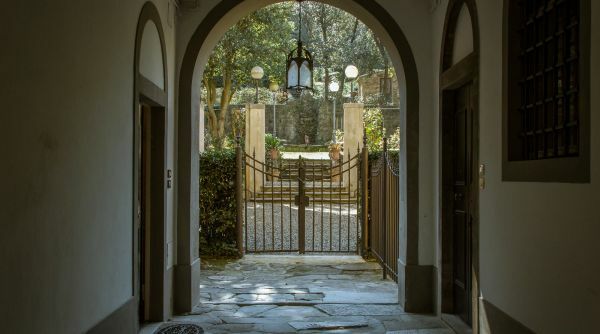 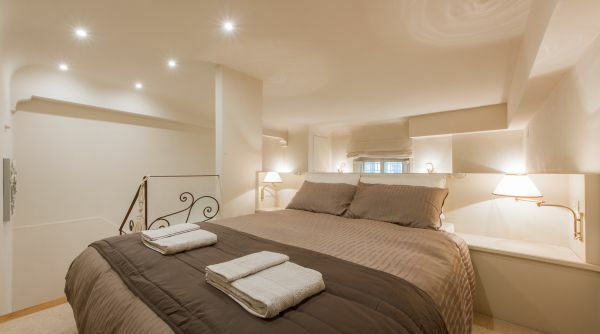 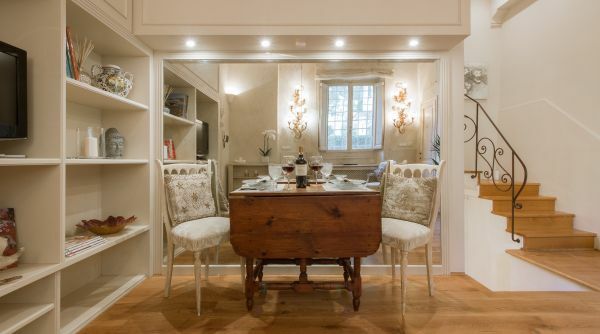 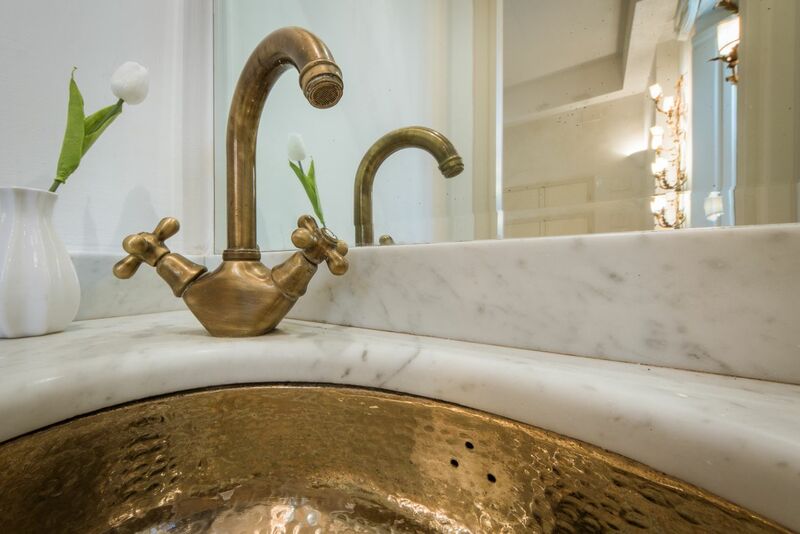 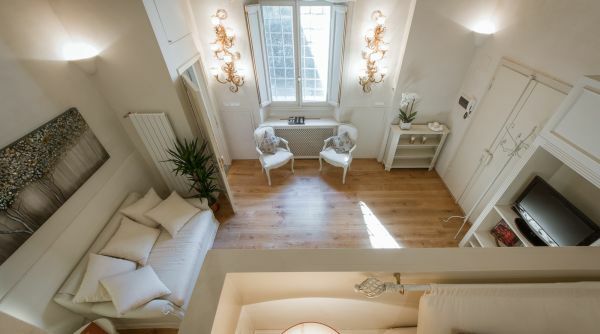 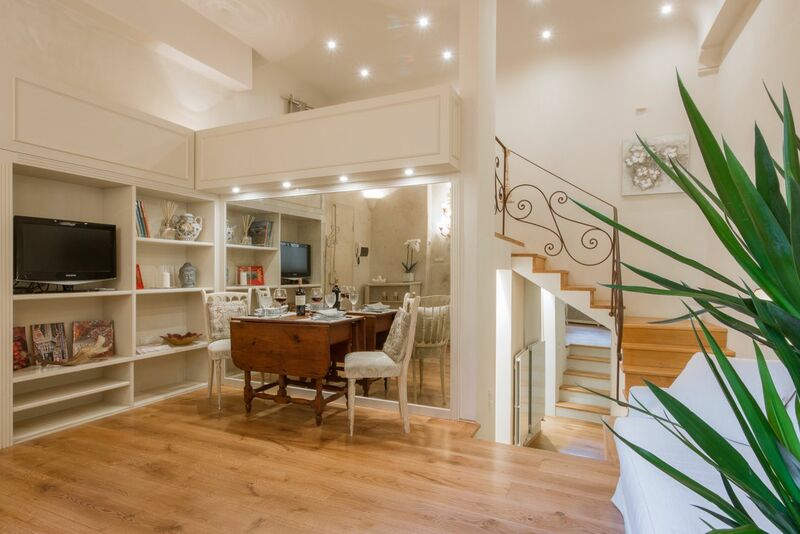 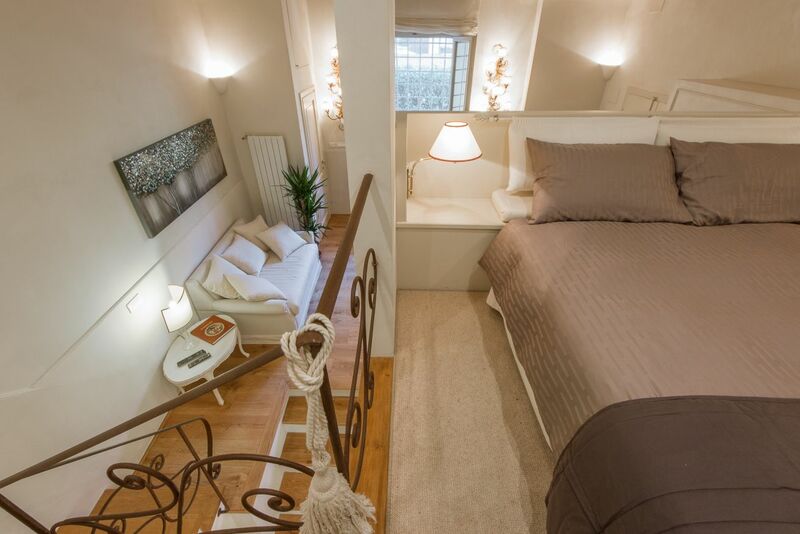 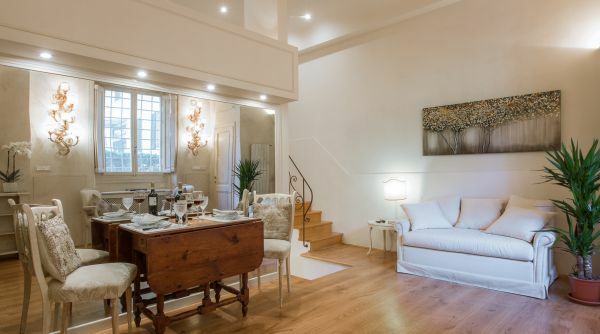 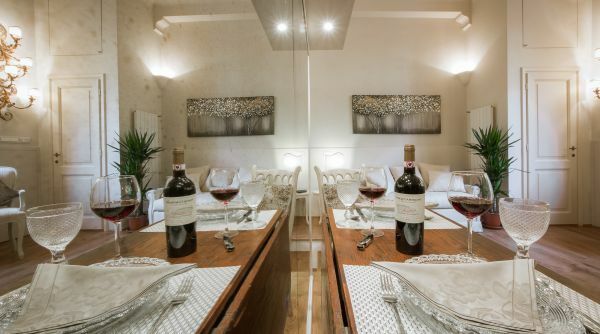 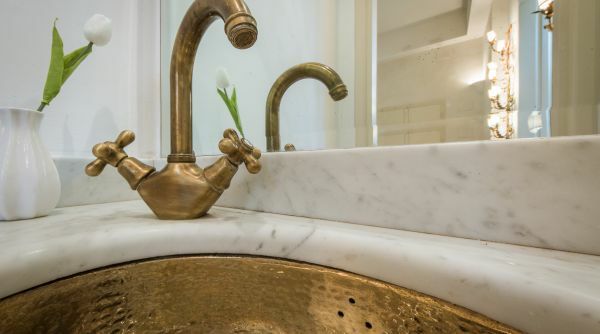 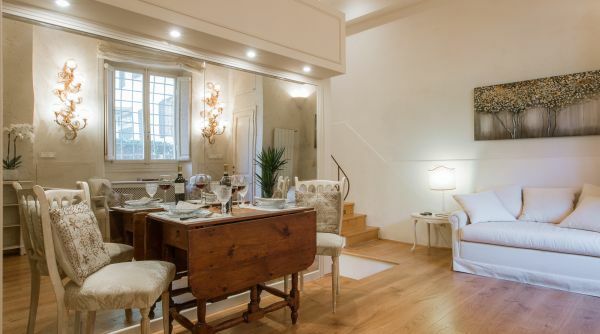 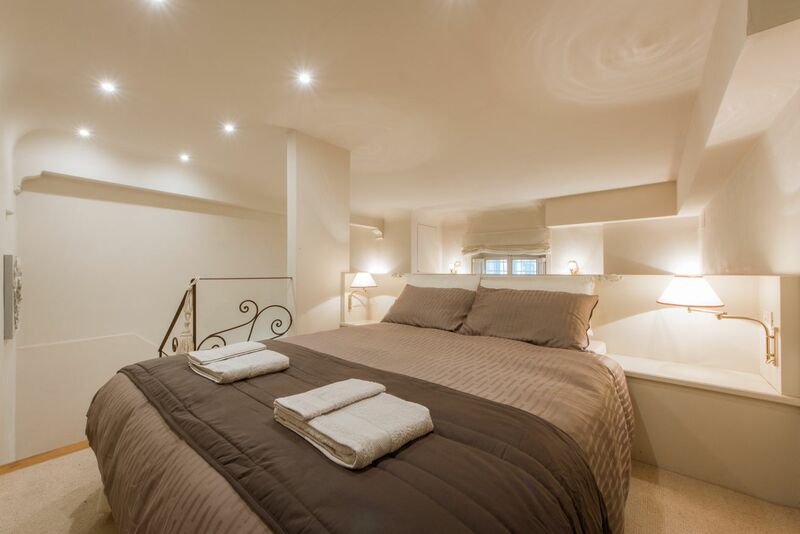 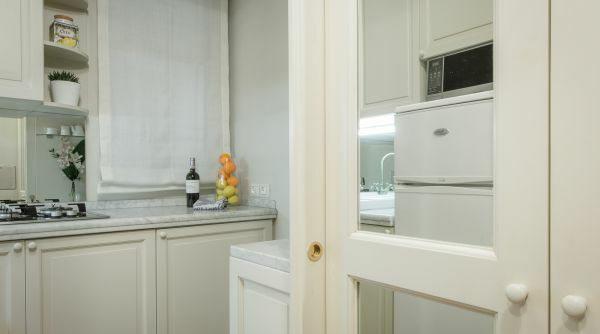 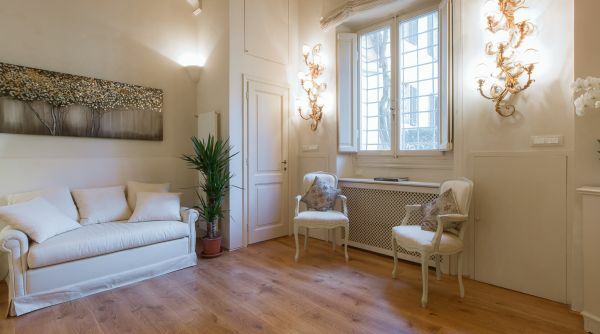 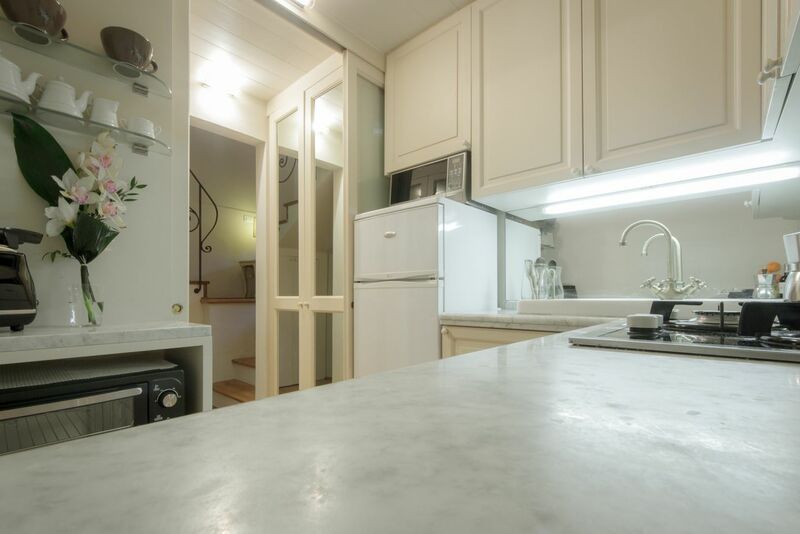 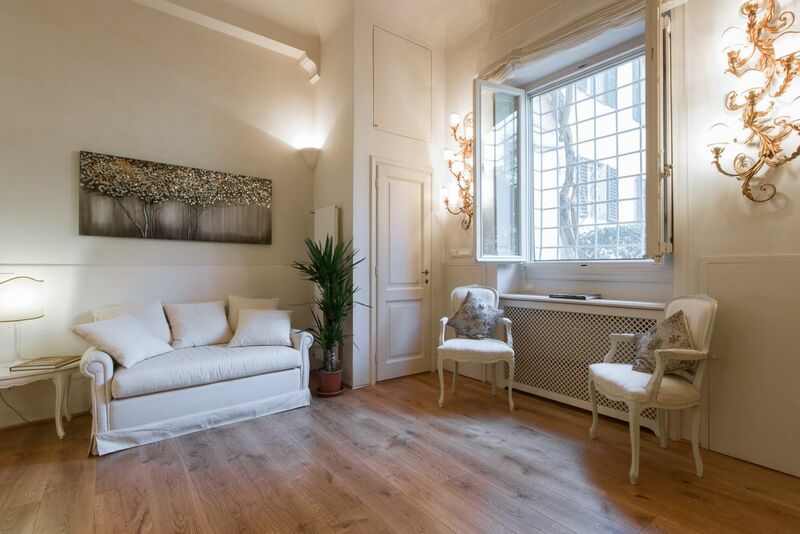 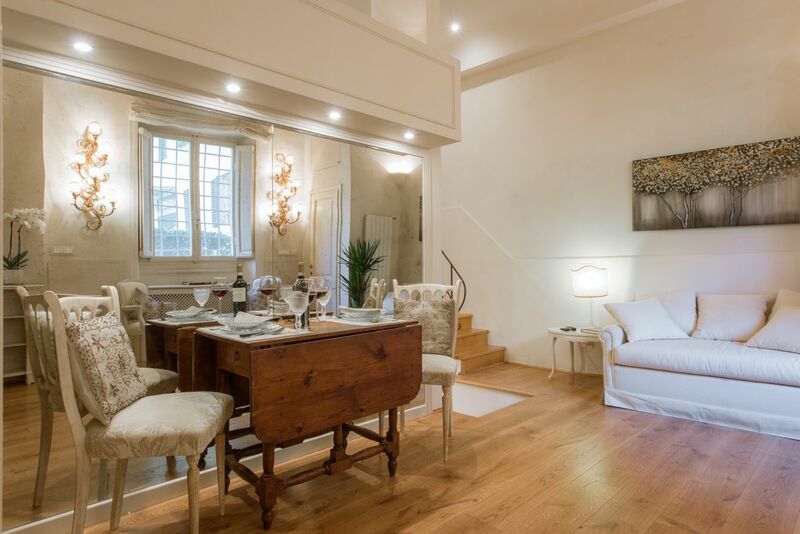 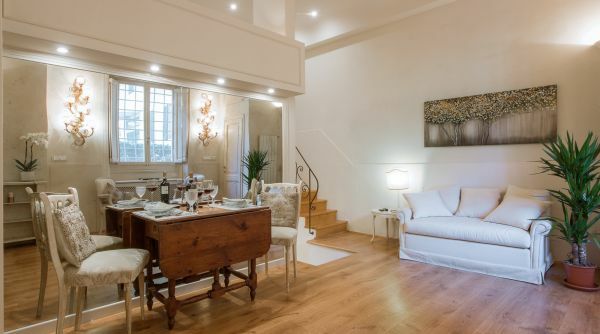 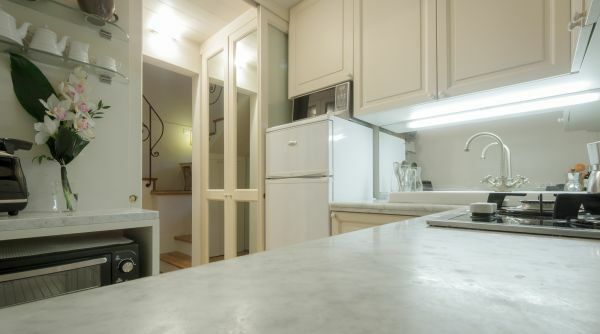 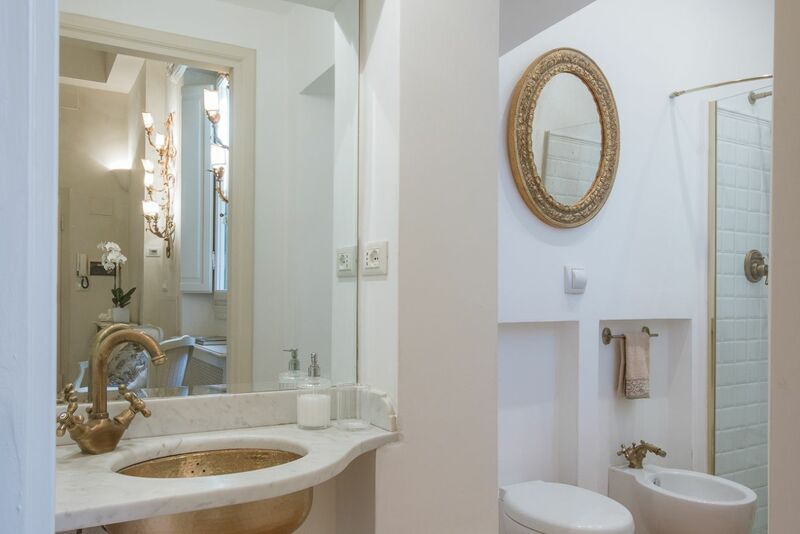 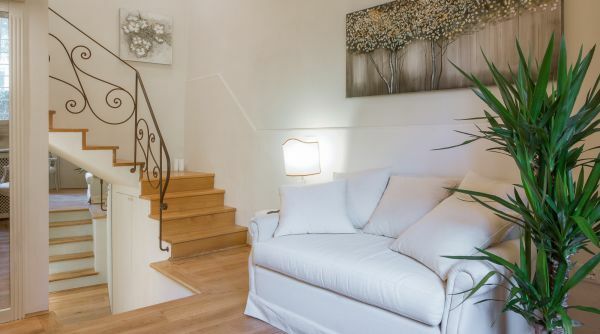 This beautiful, fully renovated studio apartment is located in the heart of San Niccolo, one of the most authentically preserved parts of the city. 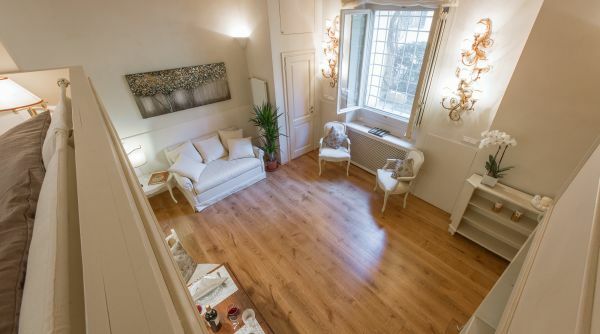 Here you find yourself very close to the Arno river and right under the famous Piazzale Michelangelo from where you can see the most beautiful panoramic view of Florence. 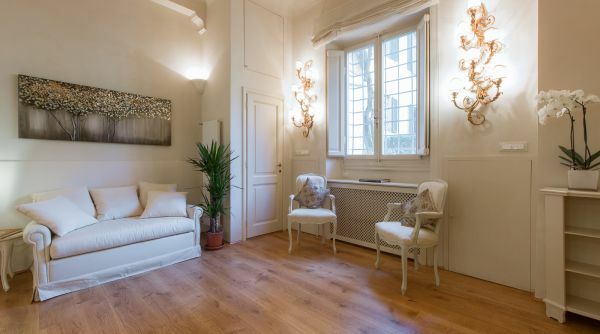 There are many traditional artisan stores, coffee shops and aperitivo bars where you can feel like a true Florentine. 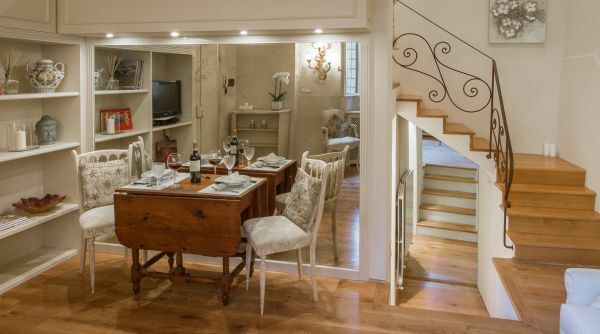 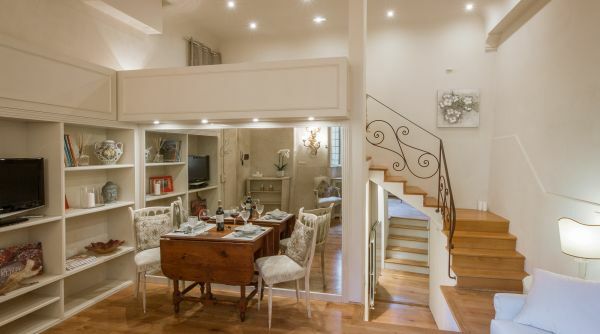 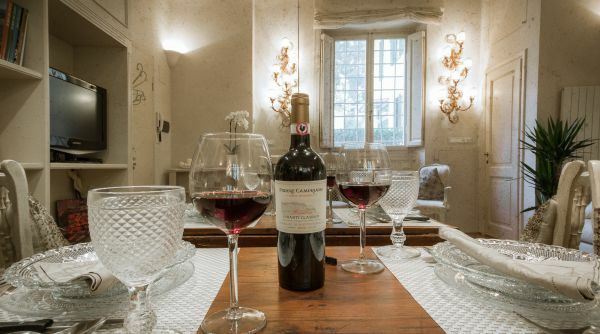 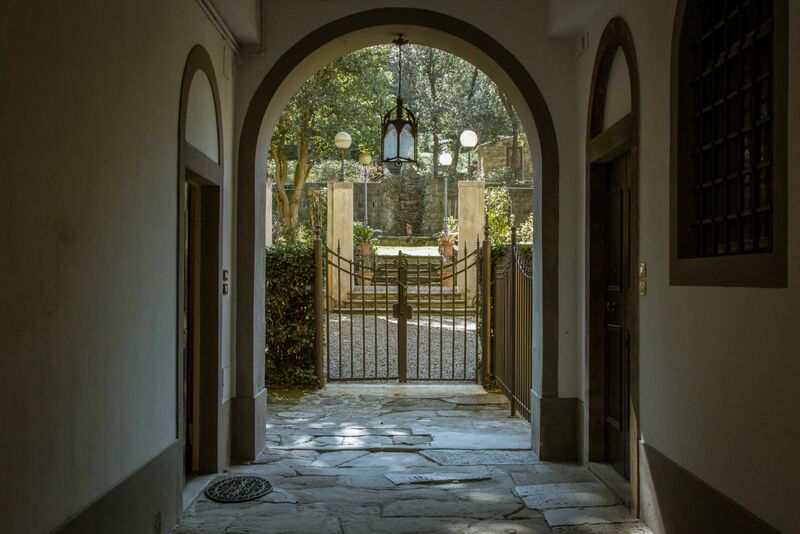 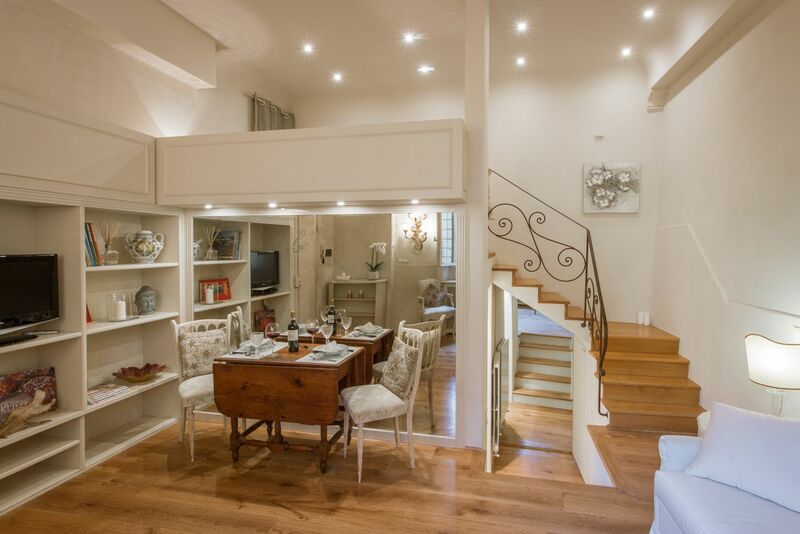 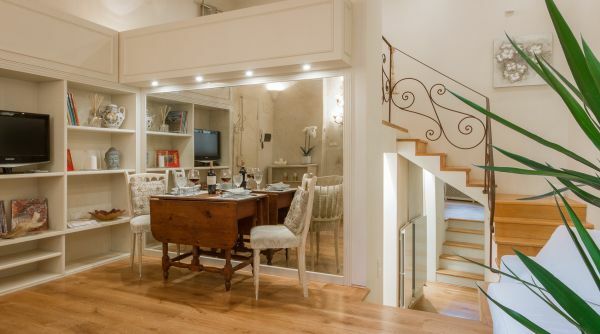 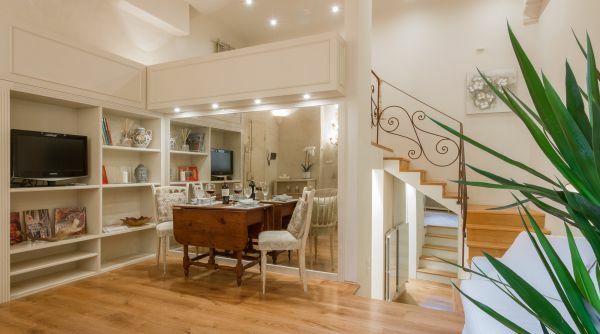 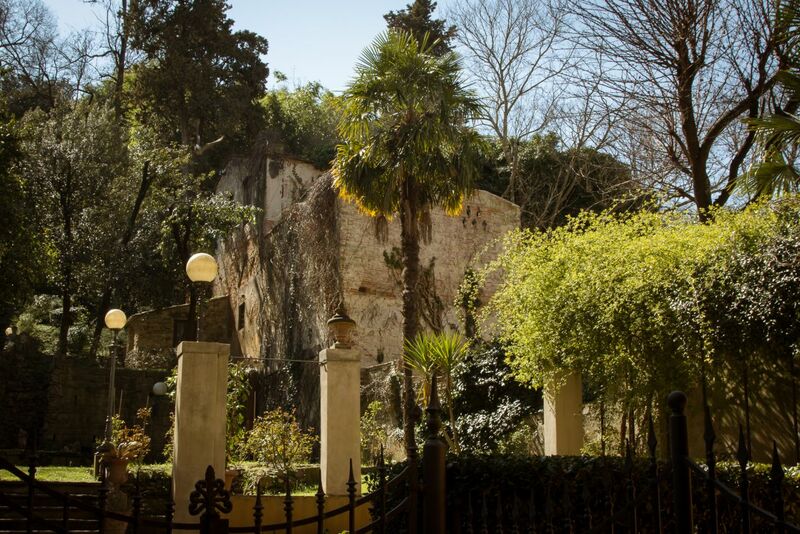 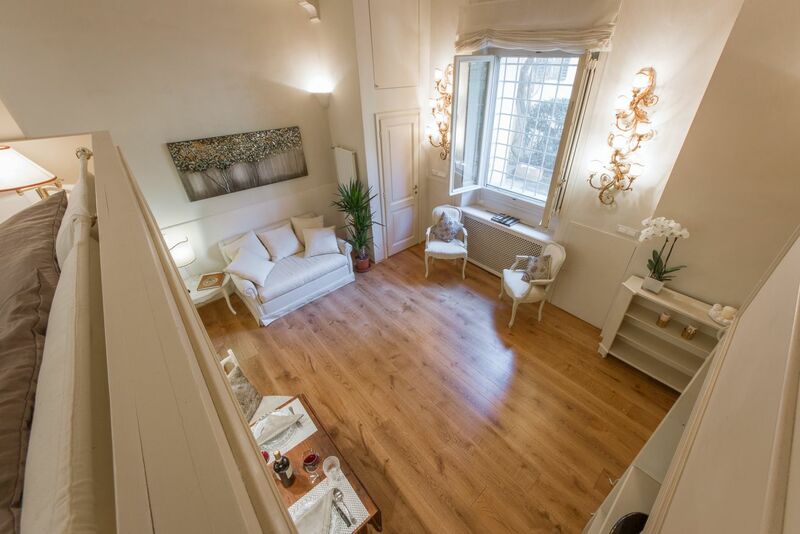 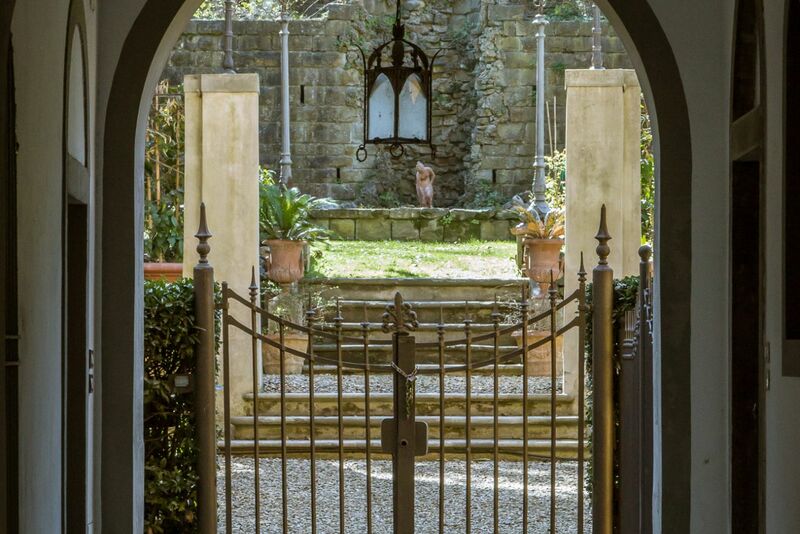 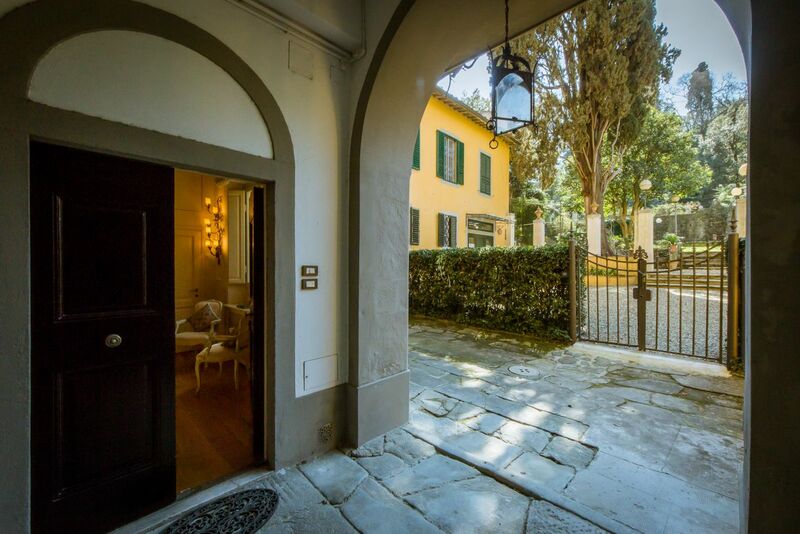 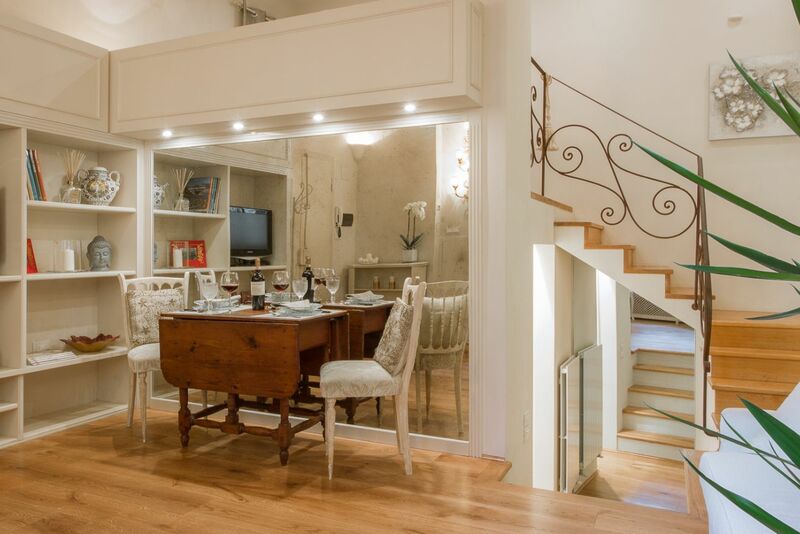 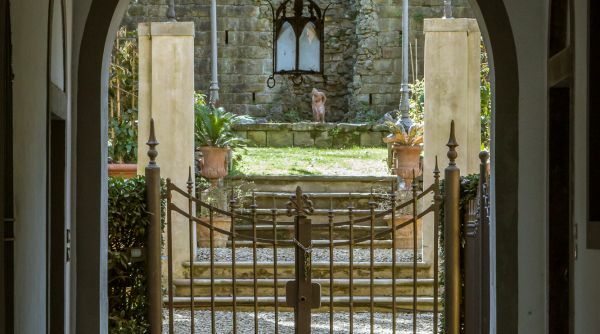 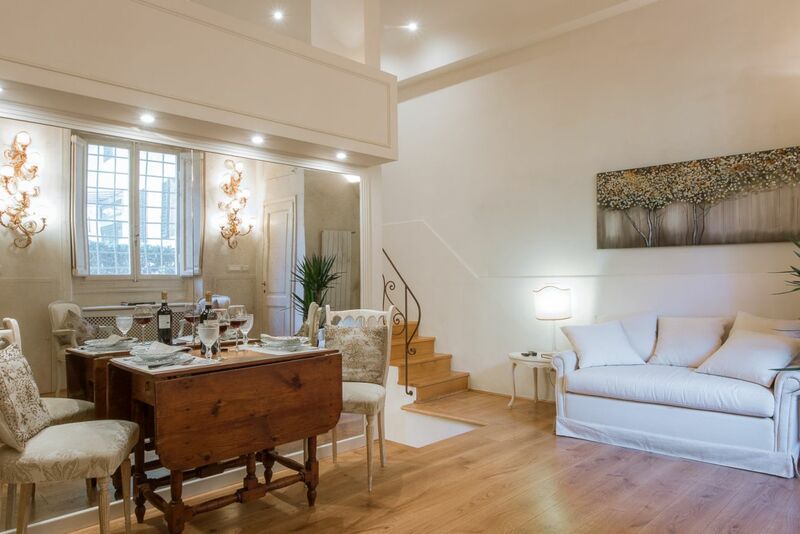 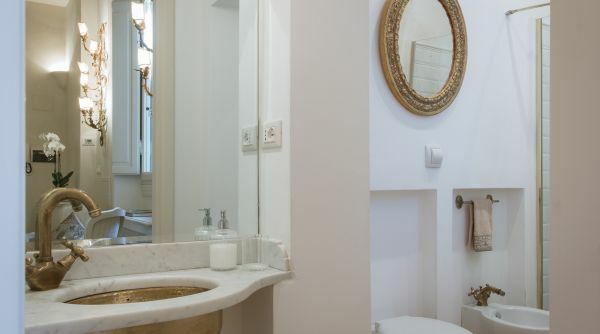 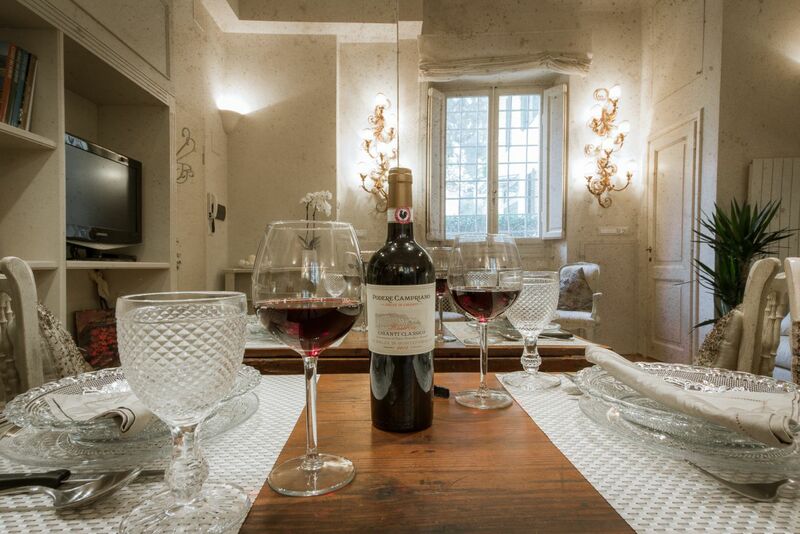 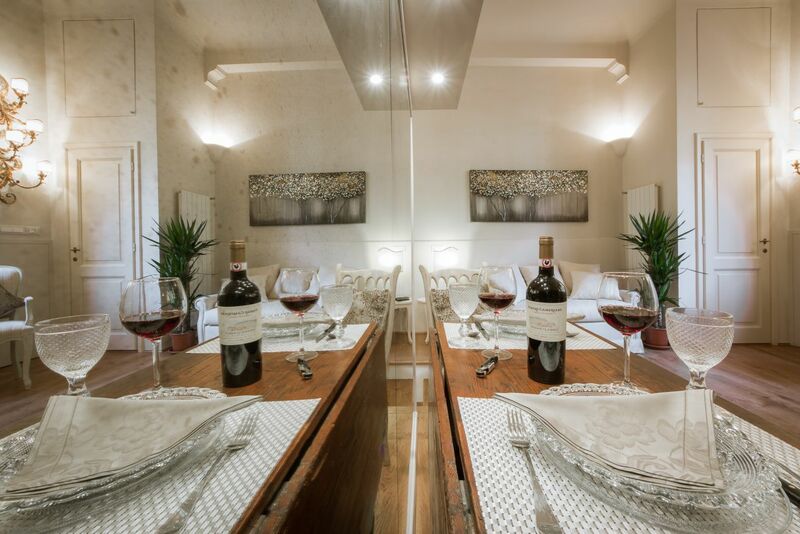 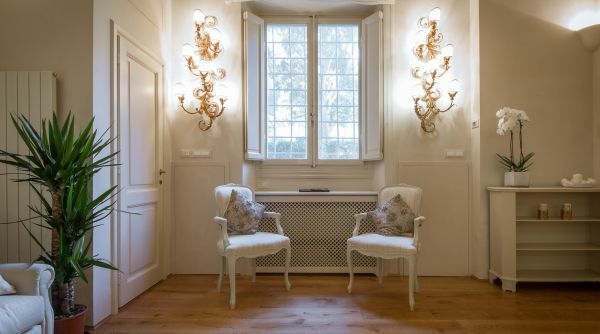 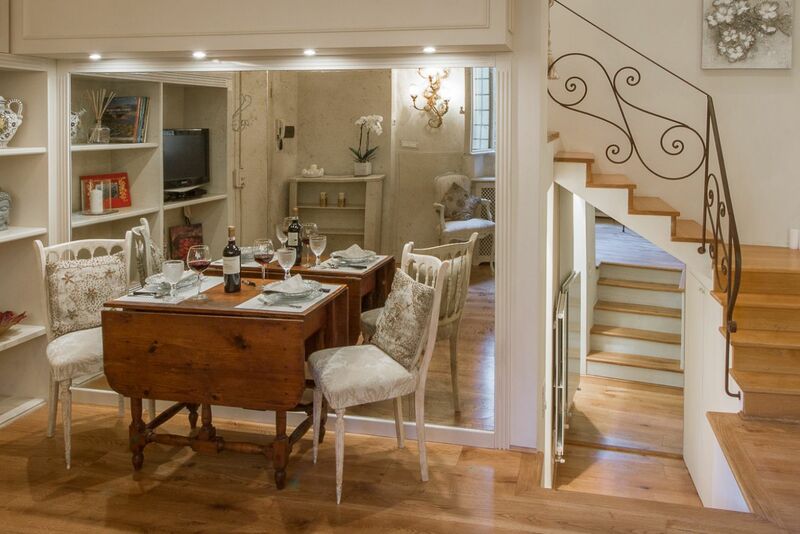 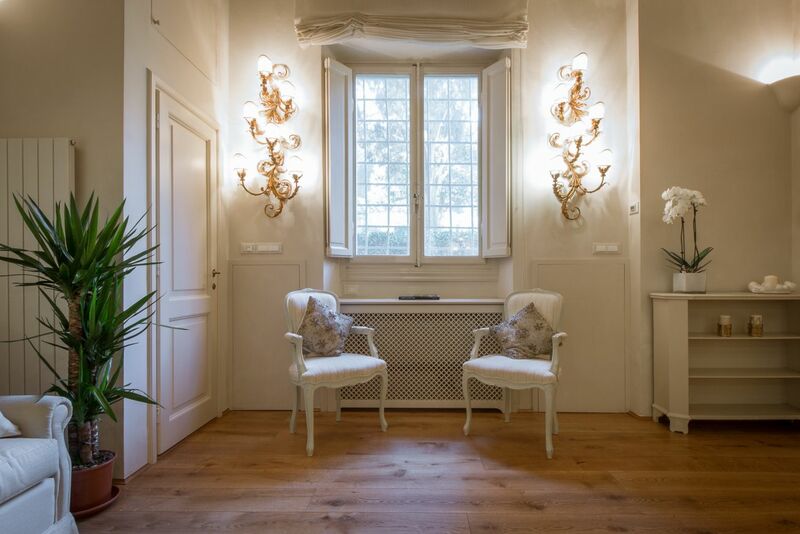 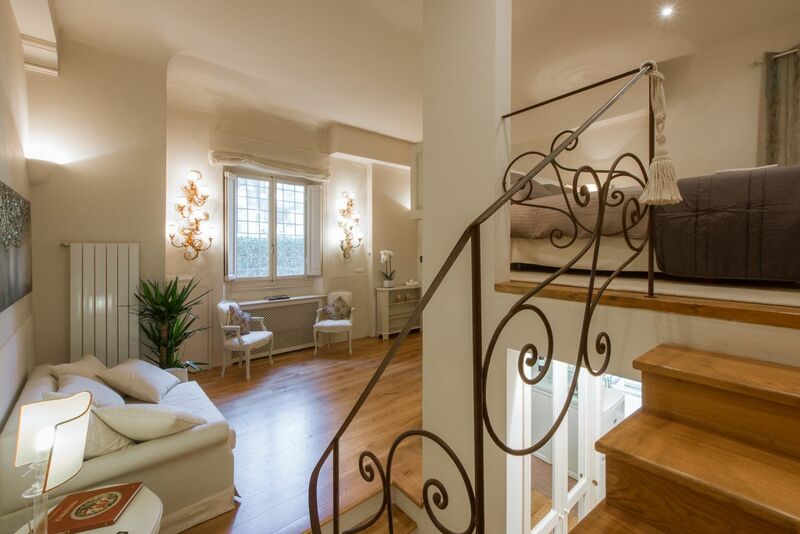 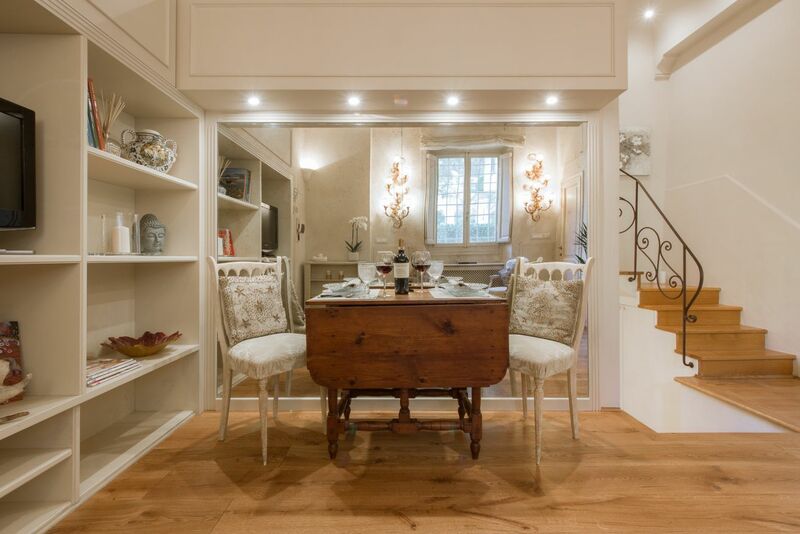 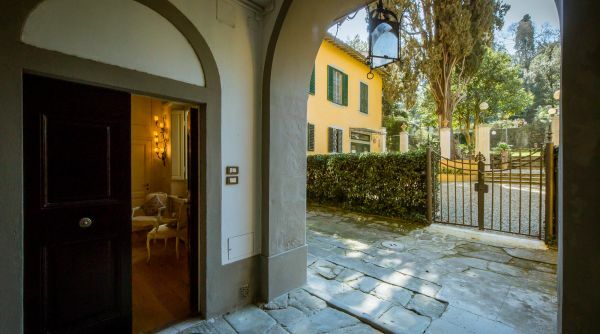 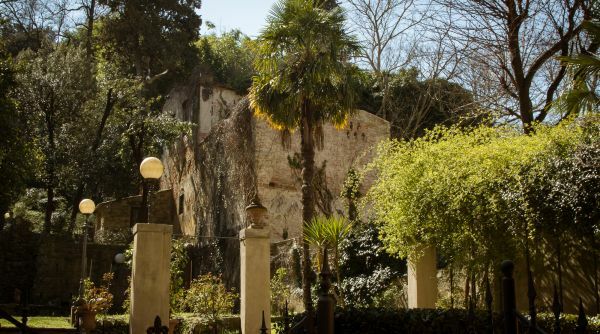 The apartment is located on a ground floor level in an old historical palazzo. 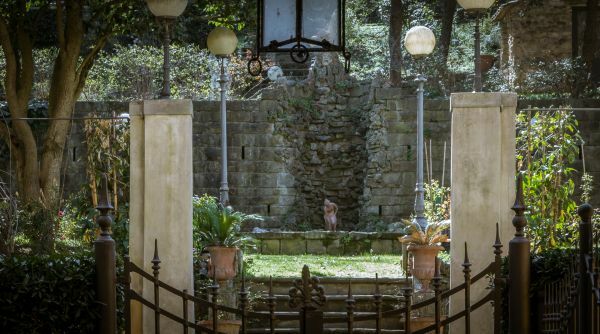 There is a beautiful garden right in front of the entrance area where the front door of the apartment is (it is not accessible but it is visible and creates a unique relaxing atmosphere). 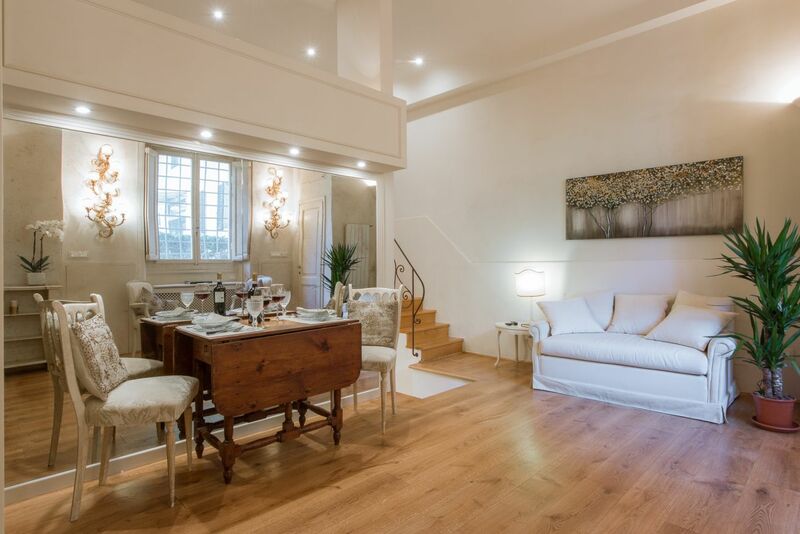 As you walk in you find yourself in the spacious living room which is bright due to the natural light coming in from the courtyard outside. 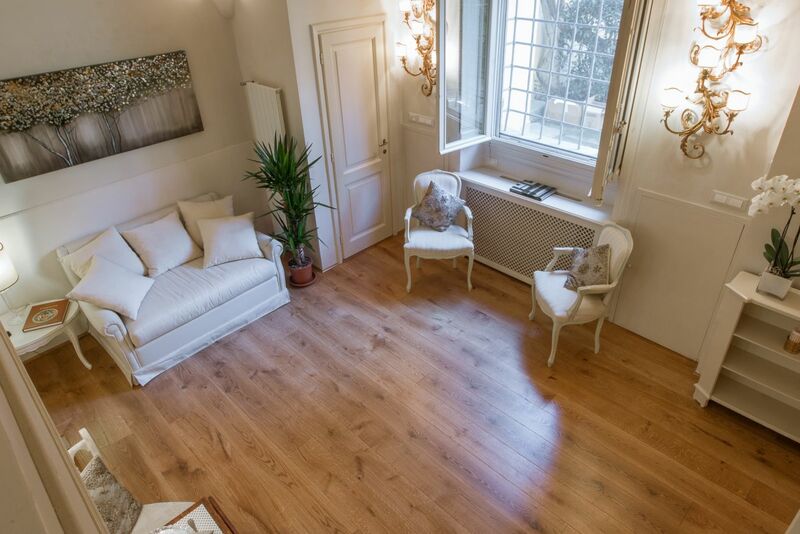 There is parquet throughout the entire space and AC which guarantees a comfortable stay. 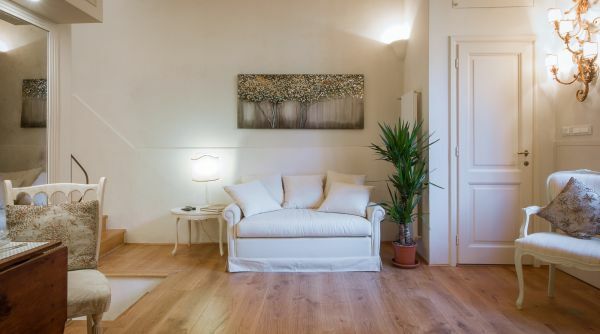 In the living room you will also find a single sofa bed, a TV and a small dining room table. 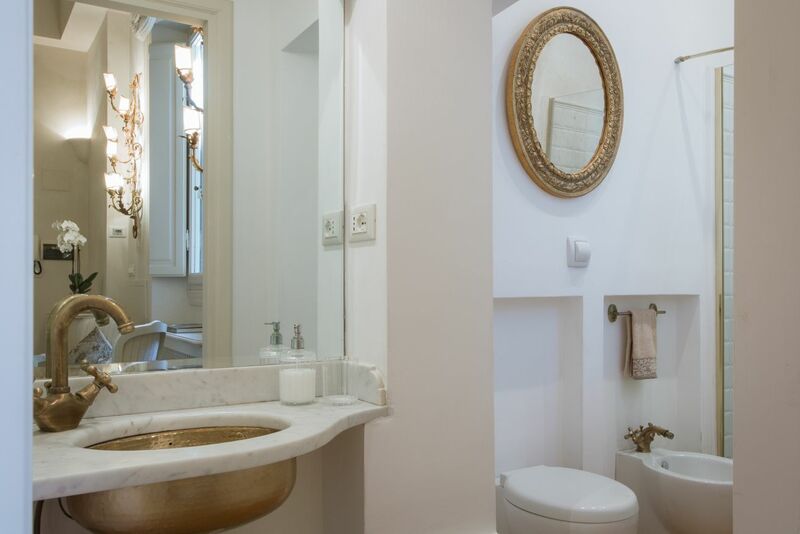 The space is decorated in a very elegant and classical manner, with chic décor and sophisticated details. 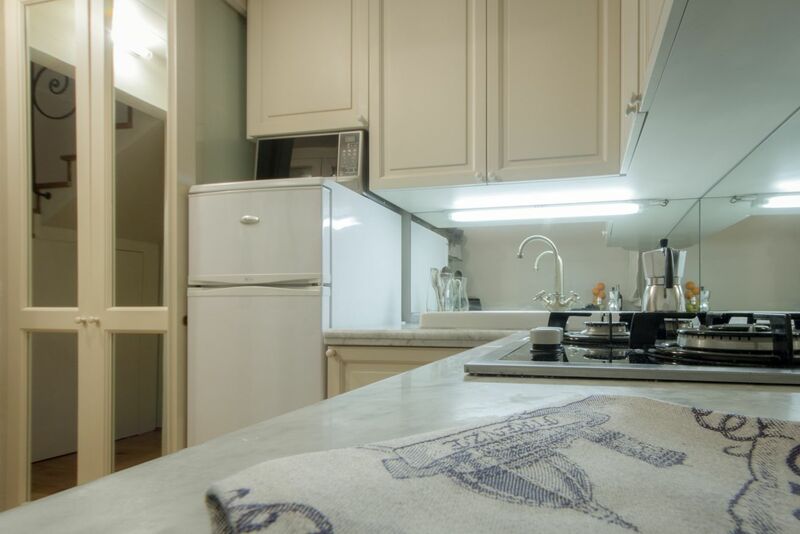 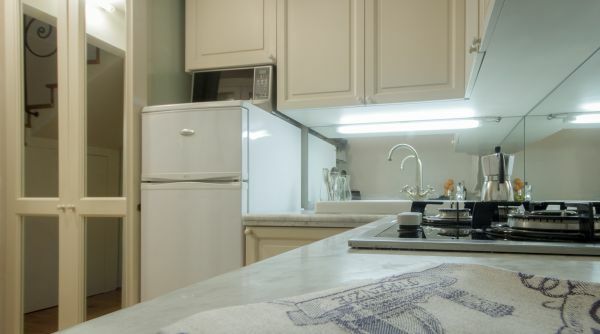 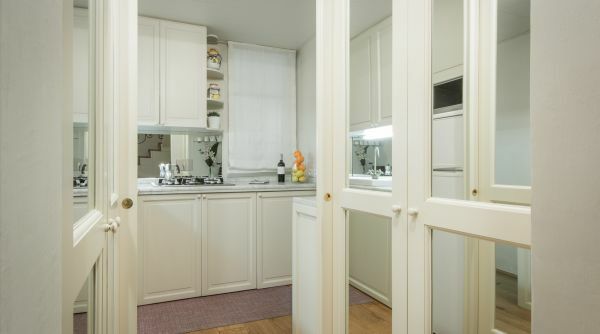 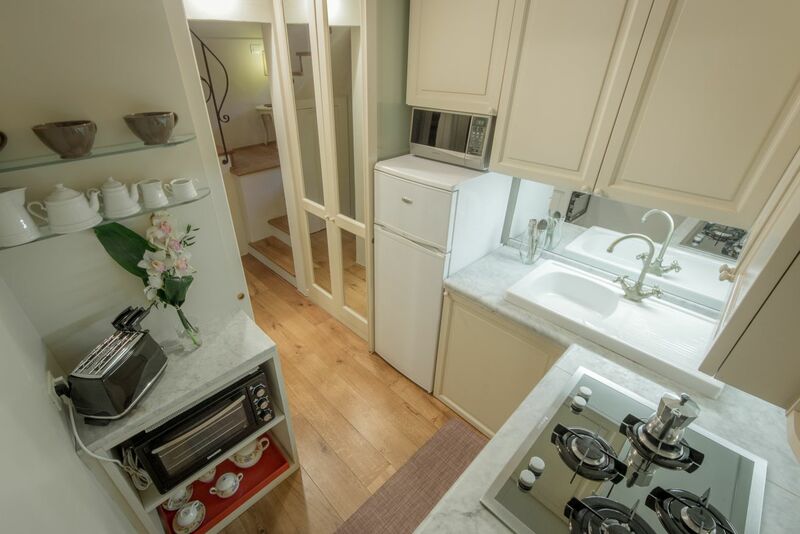 Down a couple stairs from the living room is the cozy kitchen which is fully equipped and functional. 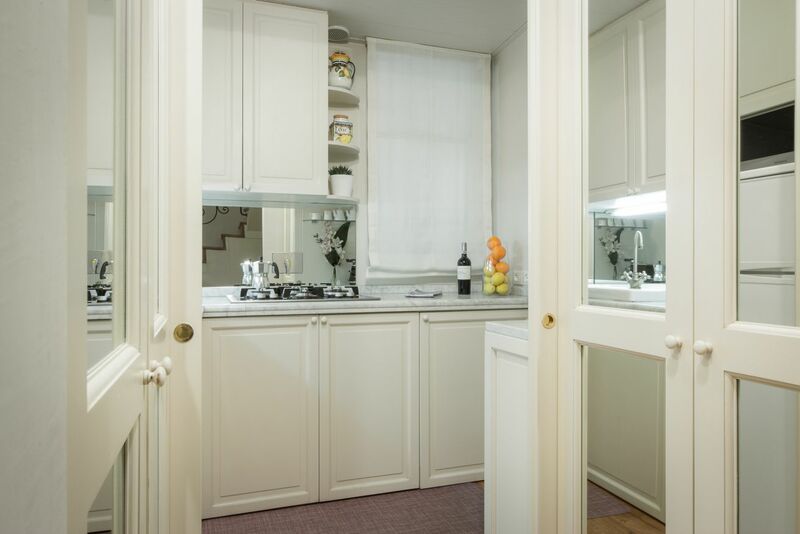 On the way to the kitchen to the right there is a big storage space under the stairs that is great even for longer term stays. 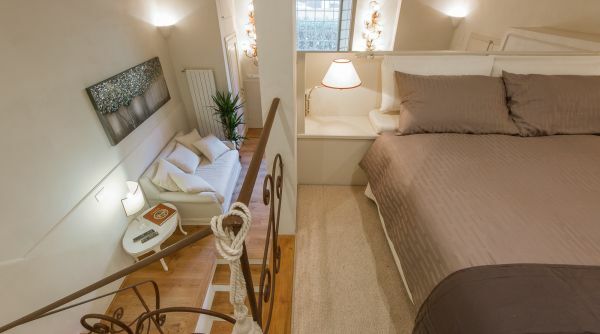 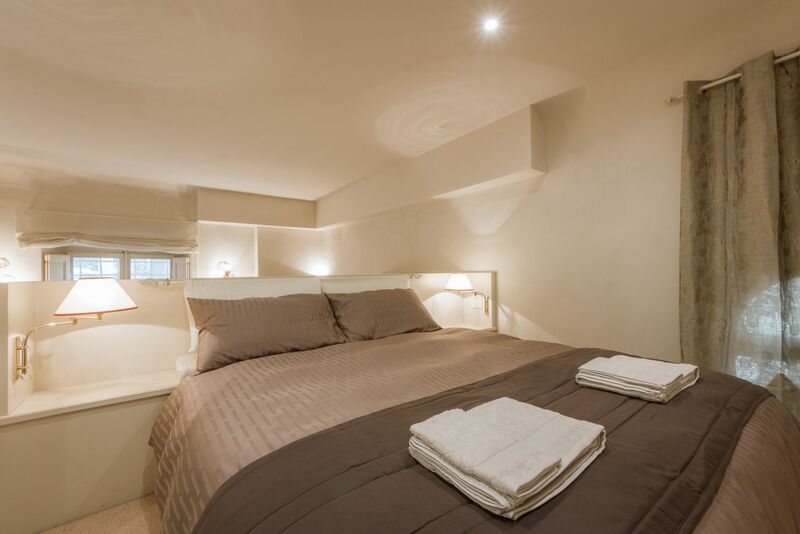 A couple steps up from the living room, you will find the bedroom loft space with a comfortable double bed. 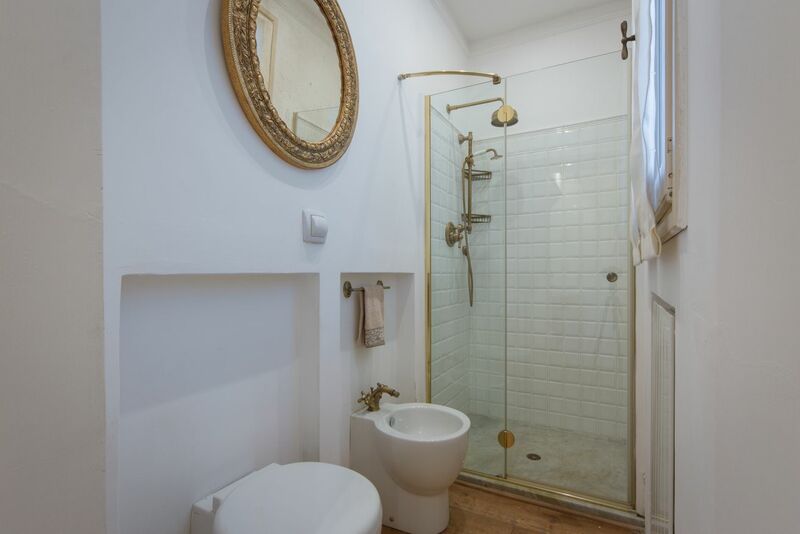 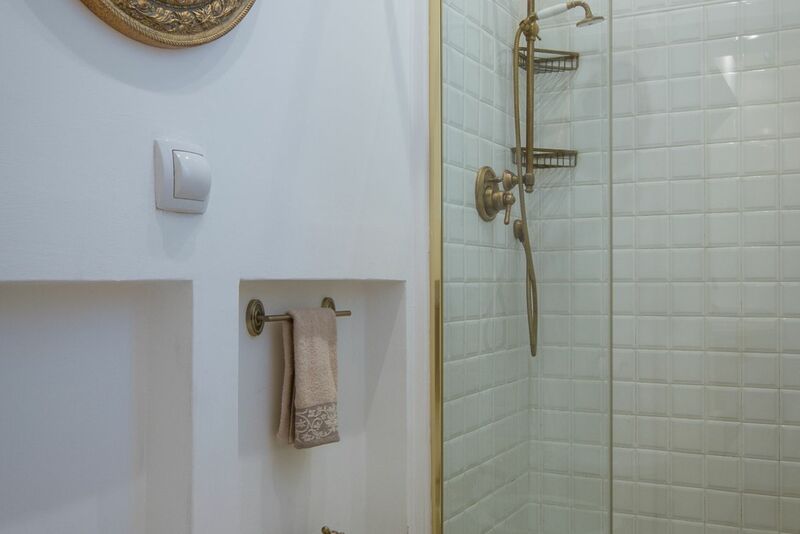 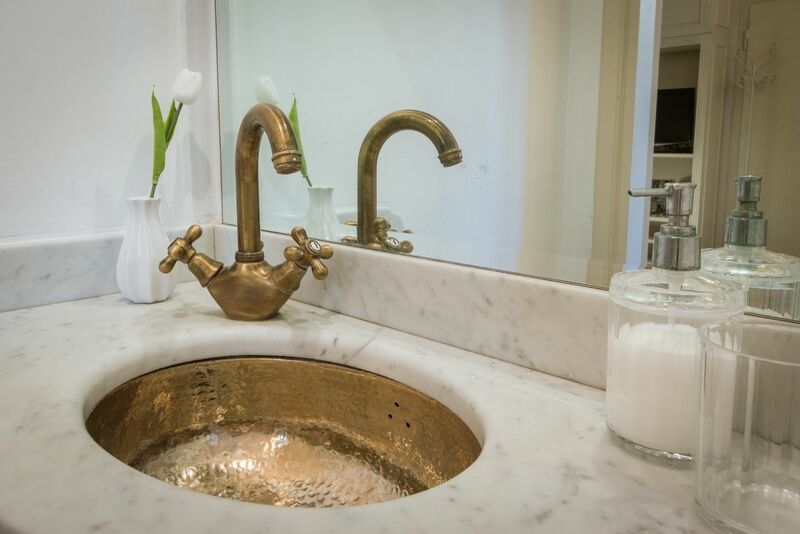 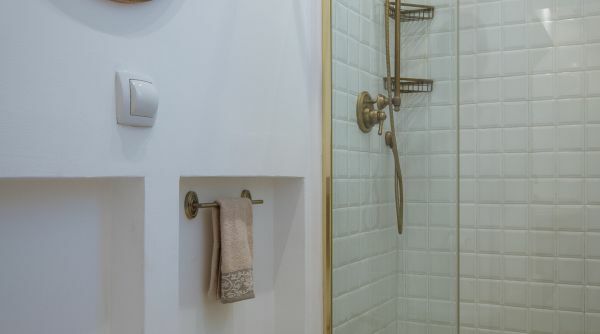 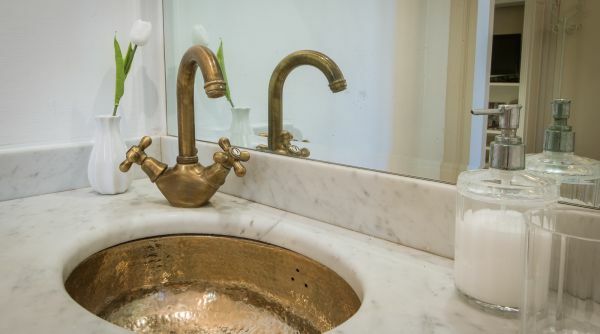 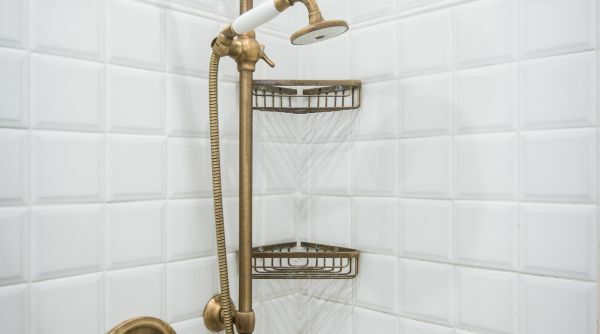 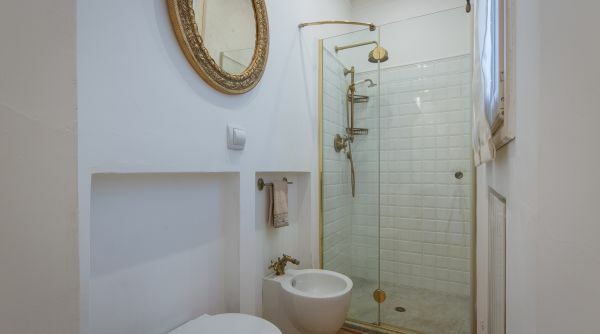 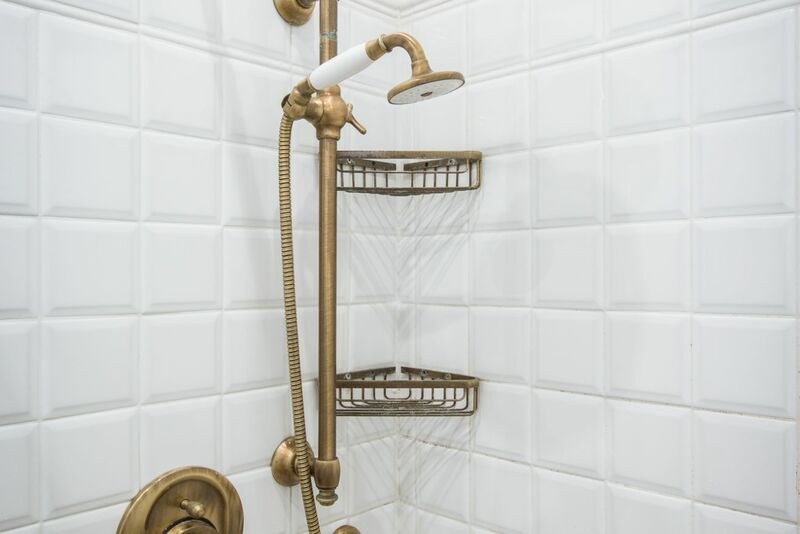 The bathroom is located on the main floor and is very nicely decorated with bronze rustic details and beautiful glass shower. 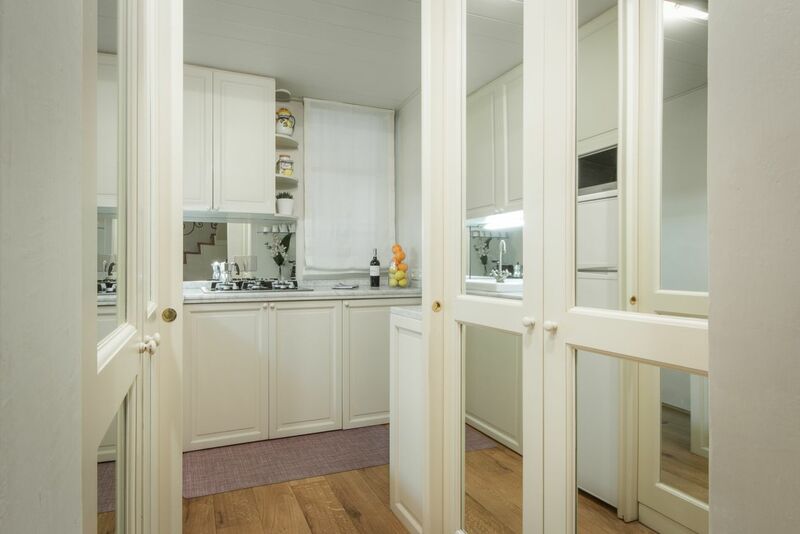 20/04/2018 - Amazing place for short and long stay! 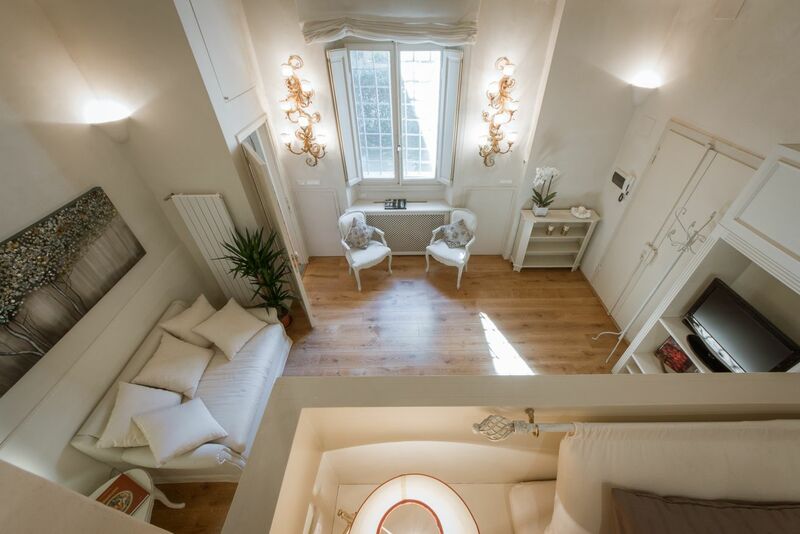 This is a beautiful apartment/loft. 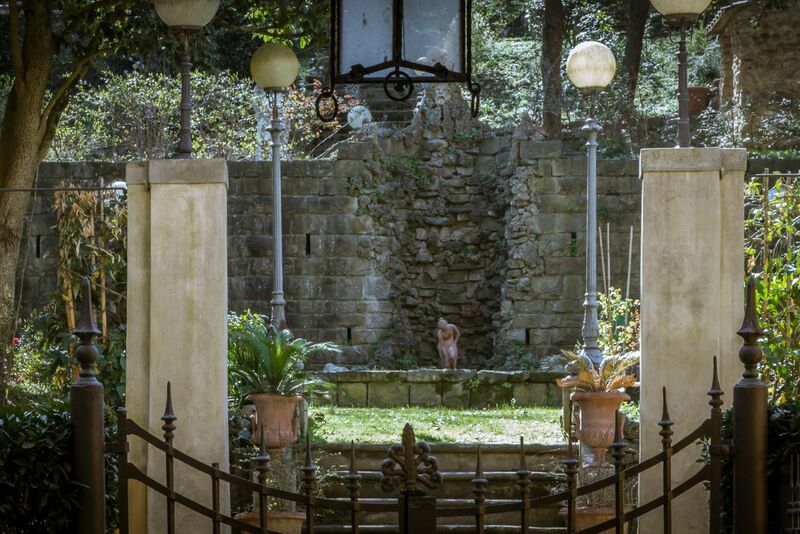 Quiet, elegant, beautiful view of a garden. 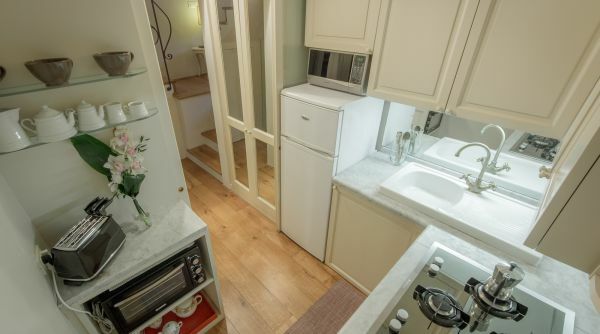 Complete kitchen to cook. 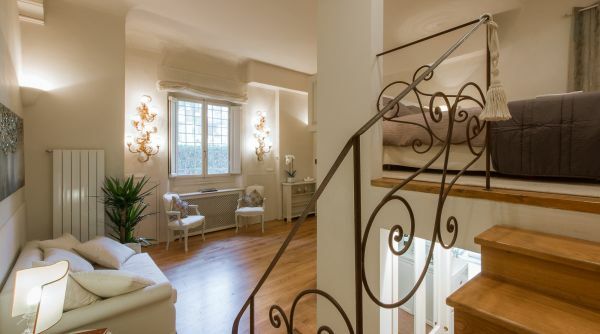 I was here for 2 months and could have stayed all my life!